Millions of shorebirds journey to and through the Copper River Delta each year. Join birders, naturalists and adventure-lovers of all ages for guided viewing excursions, expert speakers, classes, art workshops, free kids’ activities, and a Cocktail Hour Cruise to celebrate the magic of mass migration. Early Bird registration is open until April 25th at www.coppershorebird.com. 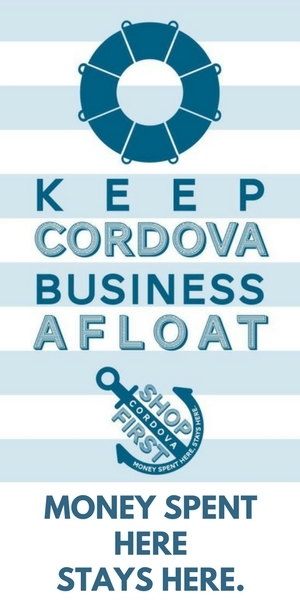 Local discount available to Cordova residents by calling Cordova Chamber at 907-424-7260. Kids 12 and under are free.